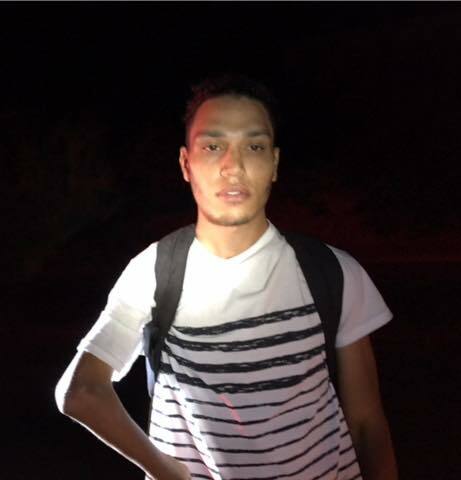 BULLHEAD CITY–Authorities are looking for a local man wanted in connection to an armed robbery of a taxi driver overnight. Miles William Hudson, 26, faces numerous felony charges after allegedly committing armed robbery Tuesday night in the 1900 block of El Monte Drive. Bullhead City Police spokeswoman Emily Fromelt said officers were called to El Monte Drive shortly before 11 p.m. Tuesday after a taxi driver reported he had just been robbed at gunpoint. The driver said he had picked up a male, later identified as Hudson, at a bar in the 800 block of Hancock Road. When the taxi reached El Monte Drive, Hudson allegedly put a gun to the back of the taxi driver’s head, instructed him to empty his pockets and to get out of the taxi van, said Fromelt. Hudson reportedly drove off with the victim’s money and taxi van, which was later found unoccupied on Diamond Drive. Formulate said a temporary felony warrant has been issued for Hudson’s arrest. Anyone with information on Hudson’s whereabouts is asked to call the Bullhead City Police Department at 928-763-1999.